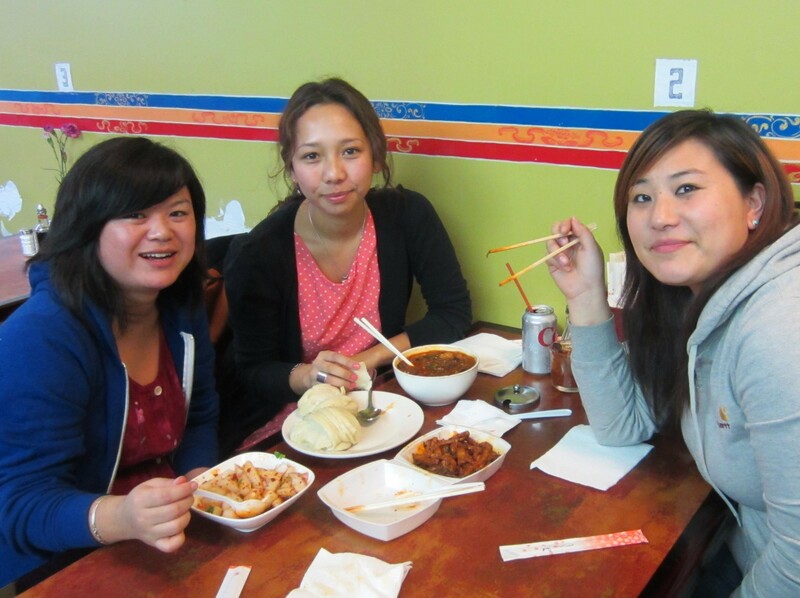 For Lhakar NYCYak, Pemayoko, and I (dlo08) decided to celebrate Lhakar by eating Tibetan lunch and dinner at Tibetan-owned restaurants. 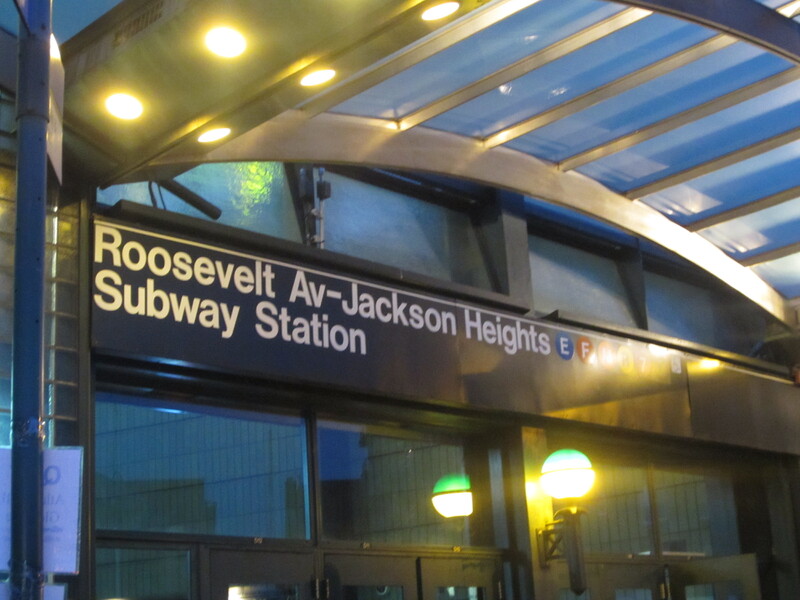 First Stop: Jackson Heights Roosevelt Ave., New York, NY. Pemayoko and I were craving Dopa Khatsa (fried tripe), so I made a pit stop at Lhasa Fast Food located in the back of the Tibetan owned cell phone and DVD shop. Pemayoko and NYCYak ordered Laphing, Veg Phing, and Tingmo. We were hungry and the food was pehhh shimbo (very delicious)! 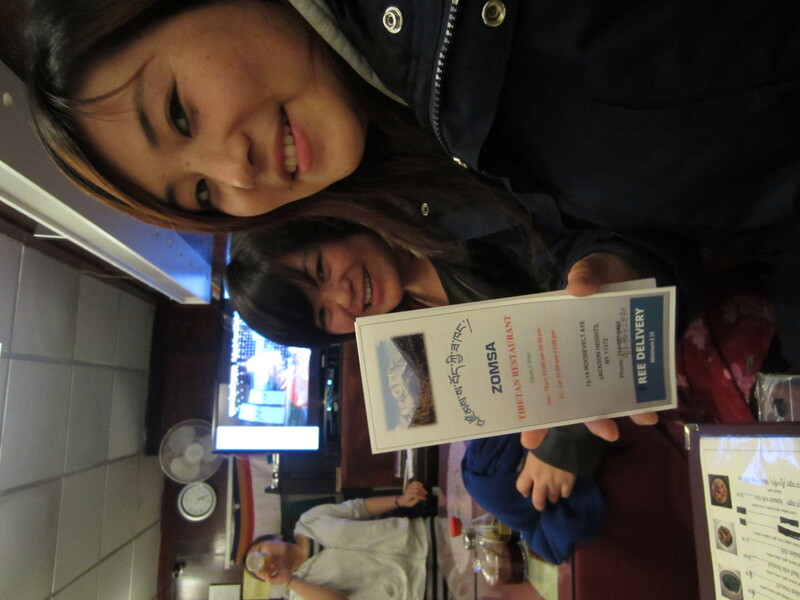 After checking out other Tibetan-owned businesses, it was time for Pema to go, so she ordered take out at the Tibetan restaurant Zomsa. For dinner, we met Tendolkar at Phayul restaurant. She was coming back from a long day’s work from Students for a Free Tibet. Look! 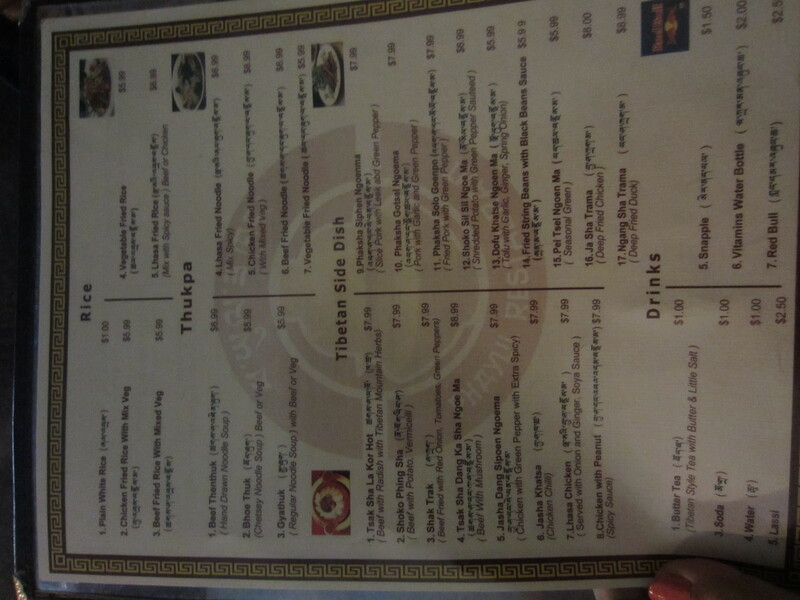 Their menu has the names of the dishes in Tibetan and English! Cool, right? Here’s Tendolkar giving a brief description of the food we ordered. 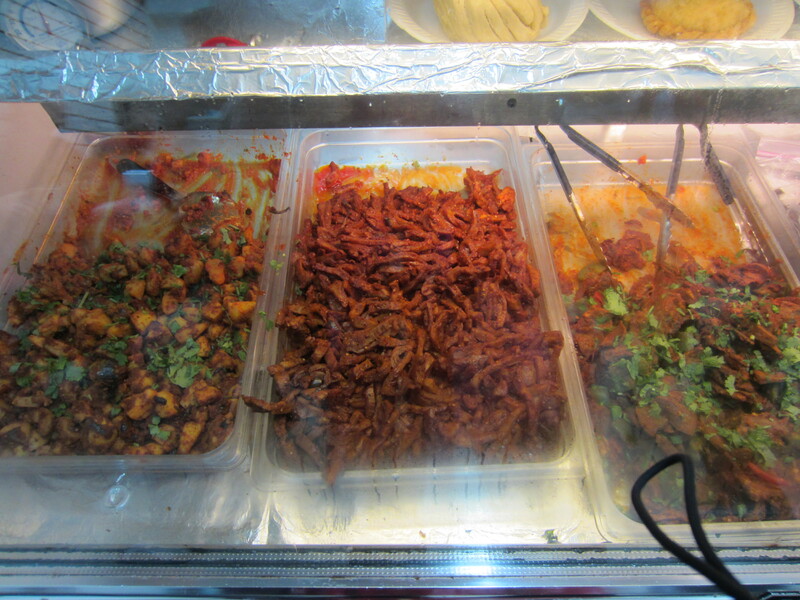 For Lhakar: Think Tibetan, Speak Tibetan, Eat Tibetan, Buy Tibetan. 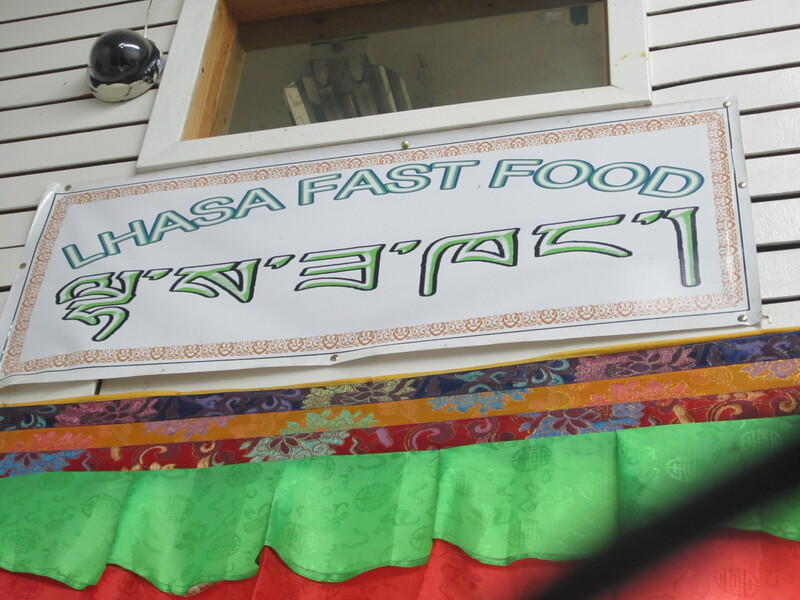 Join us and support your local Tibetan businesses!